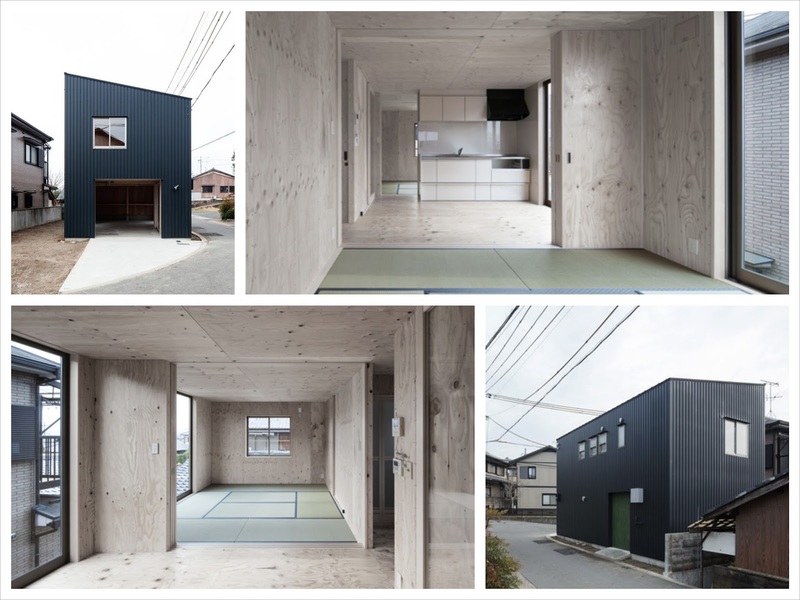 It only has three rooms and a garage on a small corner parcel of land in Kyoto, Japan, but this little house, designed by architect Yoshihiro Yamamoto, is all his clients, a craftsman and his mother, wanted – even though the site was large enough to accommodate a wider dwelling. It is named Danchi Hutch after the narrow 'rabbit hutch' style housing complex the pair used to live in and, obviously, became accustomed to. The black exterior and plywood-lined interior accentuate the minmalist design.